Vanishing Voices. Is Tuvan among them? One morning in early fall Andrei Mongush and his parents began preparations for supper, selecting a black-faced, fat-tailed sheep from their flock and rolling it onto its back on a tarp outside their livestock paddock. 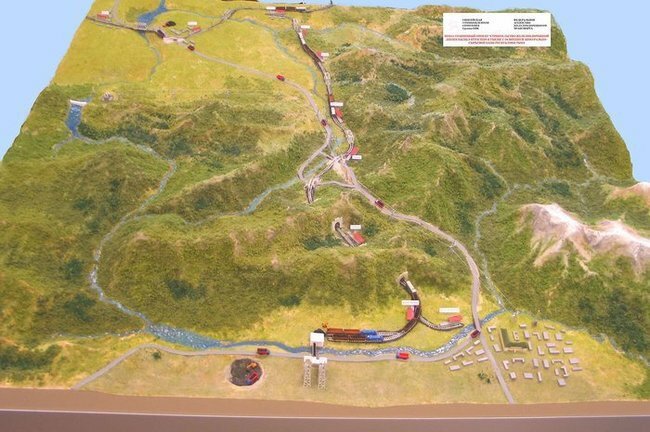 The construction of a 400-kilometre long railway from the city of Kyzyl to the town of Kuragino, in the Republic of Tuva, in Siberia, got under way earlier this Friday. 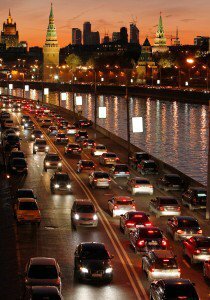 The project, first considered 100 years ago, is estimated at 120 billion roubles. To build the railway is quite a challenge since the construction teams will have to struggle with a hard-of-access mountainous country. The project comprises the construction of more than 100 bridges, 14 anti-avalanche galleries and a total of six kilometres of tunnels. 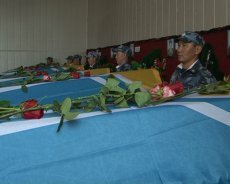 Eight airborne troopers have died trying to fight a forest fire in Tuva, southern Siberia, spokesperson for Tuvan authorities reported on Thursday. 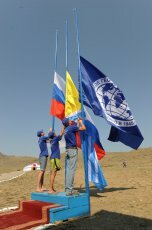 20 student volunteers from the US, Italy and Ukraine have come to Tuva, a region in Siberia, to take part in archeological excavations there. Tuva, also known as Tyva, borders with Mongolia, and the religion of the local population is Buddhism. Earlier, 69 students from Moscow, Kazan, St. Petersburg and other Russian cities also came to take part in these excavations. 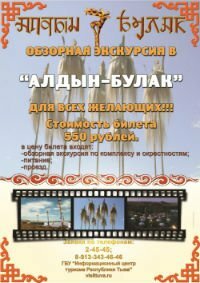 Touristic Tuva. 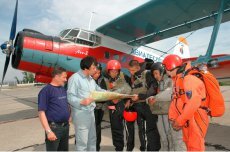 Tour base "Sai-Khonash"
Anai-Khaak and Evgeniy Saryglar organized a tourist business together. Two years ago, a yurt-camp "Sai-Khonash" appeared in Barun-Khemchik district, which, in the words of the couple, is quite popular among people enthusiastic about Tuvan culture. 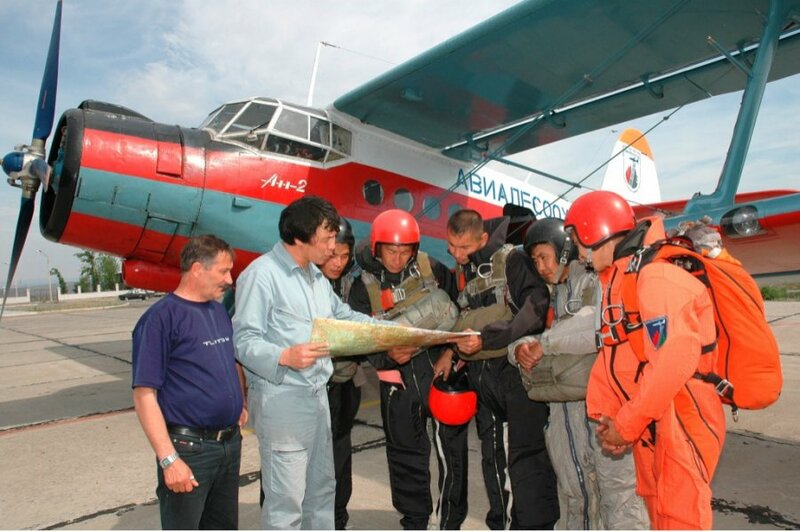 "Our base is located in a picturesque corner of Tuva, in Bayan-Kol of Barun-Khemchik district, - says Anai-Khaak Saryglar. - Officially the yurt camp opened in 2010. In the Year of Tourism, our base won a grant of the Chairman of the Government of five hundred thousand rubles; we expanded the tour-base with the money, because the demand for our services increased greatly, and the base consisted of only two yurts. 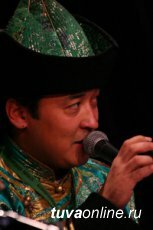 Where to search for Genghis Khan's tomb? 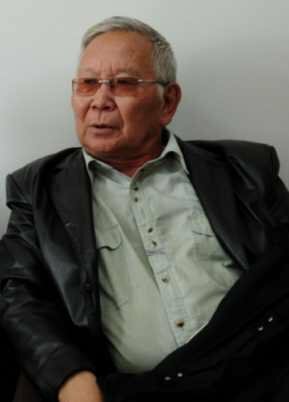 "I read recently that Astana historian Gizat Tabuldin says that he knows where Genghis Khan's grave is. But, as far as I know, it has not been found so far. 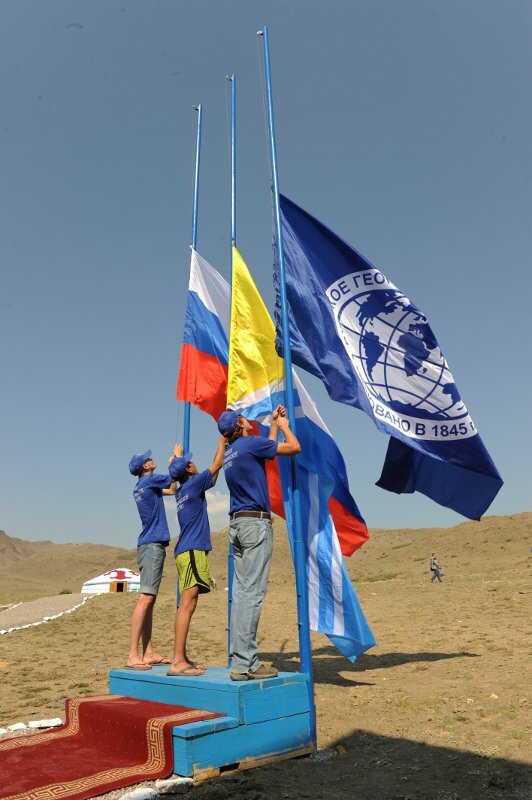 It is also known that Tuvan scholar Nikolai Abayev has long been propagating the version that the tomb of the Shaker of the Universe is located in Tuva. It was in "Tuvinskaya pravda". So who is right?" (Sergei Kozlov, Kyzyl). We turned to Doctor of History, Professor of TGU Nikolai Abayev for a commentary. - Gizat Tabuldin is a Kazakh scholar of great authority. A Buryat beauty won the crown of the International beauty contest "Miss Asia Alma Mater - 2012"
In 23 years of the history of beauty contests in Tuva, the republic played the host last weekend to a very representative group of beauties and masters of arts from the most varied regions of Russia. The contest of grace and accomplishment "Miss Asia Alma Mater - 2012 took place within the framework of the First international festival of creative youth "Adargan - 2012", with the support of the Government of Tuva, department of youth affairs and sports of Kyzyl, leadership of "Miss Russia International - 2012", and youth administration of the republic. Vice-Premier Dina Oyun greeted the spectators and participants of the contest in the name of the Head of Republic Tyva. The head of MChS of RF, Sergei Shoigu, who was confirmed last Thursday as the head of Moscow region, believes that the capital city of Russia should be in Siberia. "Generally everybody speaks well of the idea, and I am, certainly, one of them. I believe that our capital should be moved somewhere farther away, to Siberia. 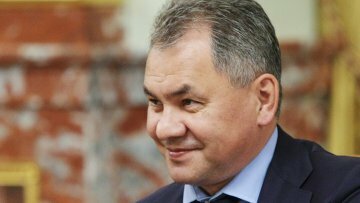 Well, that is what I think," - said Shoigu on air in "Russian news service". 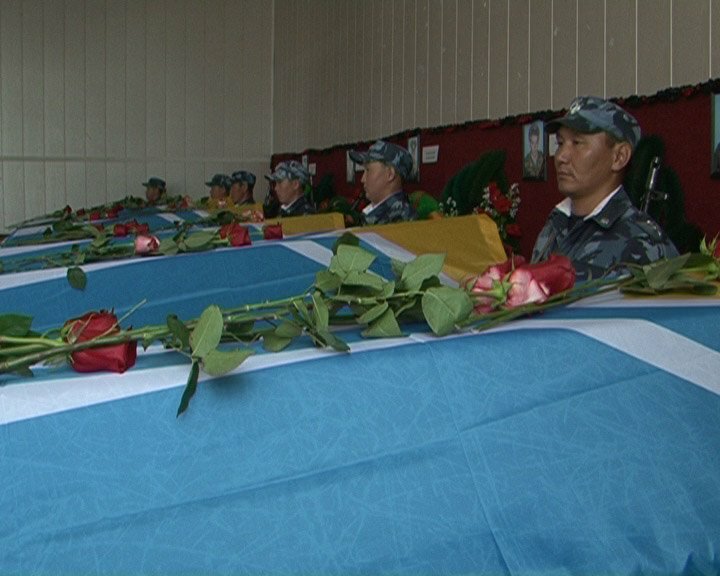 Special fire-prevention regime will begin in Tuva on 15 April. The decision was made at a meeting of the government of the republic. As the chairman of State forest commission of RT, Vadim Kyzyl-ool, who presented documents for evaluation by the government announced, the necessity for a special regime is occasioned by the high danger of spread of forest and steppe fires. According to a proposal by the commission, from 15 April to 1 June there will be additional requisites for fire safety.